Kahlúa, the No. 1 selling coffee liqueur in the world, originated in Veracruz, Mexico in 1936. Containing sugarcane, Arabica coffee and caramel color, this flavored coffee drink contains 20 percent alcohol per volume. Kahlua comes in seven different varieties, including Original, Especial, French Vanilla, Mocha, Hazelnut, Peppermint Mocha and Ready-to-Drink. Each of these contains its own flavoring ingredients influencing the overall calorie content. Both the Original Kahula and Especial contain about 53 calories per ounce, while the French Vanilla contains twice that, at about 103 calories. Most of the calories in Kahlua come from carbohydrates. Generally, all flavors contain about 11 grams to 11 1/2 grams of carbohydrates per ounce. Most of these carbohydrates are from the sugarcane and other flavoring ingredients used to make Kahlua. None of the calories in Kahlua come from fat. However, the alcohol in Kahlua decreases your fat metabolism. When you consume alcohol, a small portion directly converts to fat. Your liver converts the rest to acetate. Your body uses acetate instead of fat for fuel, decreasing your ability to lose weight. 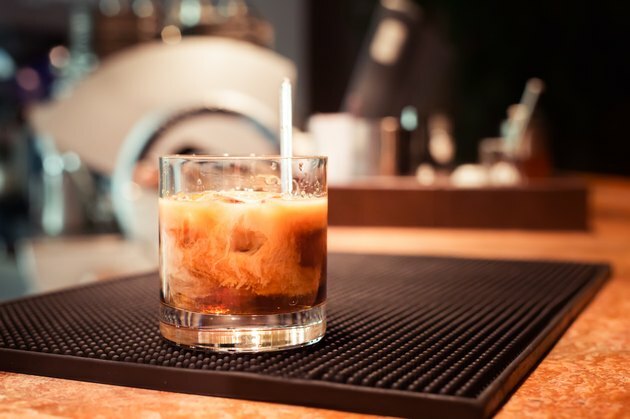 Kahlua Especial contains more alcohol than Original Kahlua, 35 percent by volume compared to 21 percent by volume, and therefore will have a greater impact on your fat metabolism.